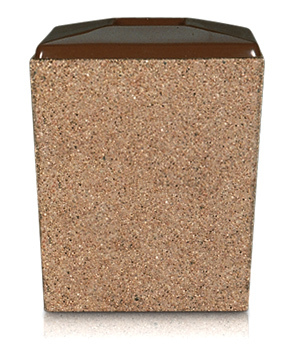 This heavy-duty concrete trash receptacle is ideal for outdoor use at state and federal government agencies, restaurants, or parks. Steel reinforced construction for maximum durability and minimum maintenance. The sheer weight of this receptacle deters theft and vandalism. Rigid plastic 36 gallon liner measures 19-1/2" Dia. x 29-3/4"H and is sold separately. 9" x 6-1/4" Disposal Opening. 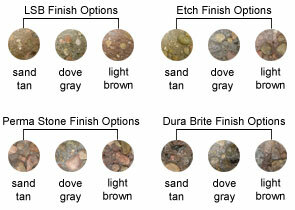 This square precast concrete trash receptacle is available in Light Sand Blast, Etch, Perma Stone, and Dura Brite finish options, and is treated with a water-repellent sealer for ultimate weather resistant durability.